How can practicing Yoga benefit your fertility? Lifestyle and nutritional factors affect both male and female fertility; medical history, age, stress levels, alcohol and diet are all recognised factors. Exercise plays a very important role in fertility and according to research by Rich-Edwards “it helps to balance blood sugar levels and regulate hormones and thus ovulation”. 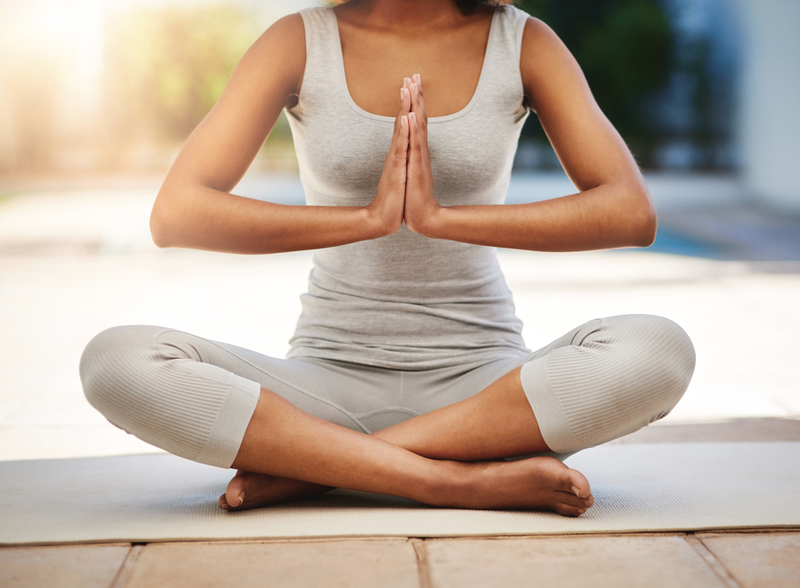 A study published in the journal Fertility and Sterility reported the benefits of reducing stress through gentle exercise such as hatha yoga, helps to improve the chances to conceive, as well as preparing the body for pregnancy. Fertility Yoga is a programme designed to reduce stress and focuses on therapeutic yoga postures to benefit reproductive health. Trying to conceive naturally, or through assisted reproductive treatment (ART) or IVF is stressful and a roller-coaster of a journey both physically and mentally. One of the best ways to de-stress whilst trying to conceive is with a Fertility Yoga program. Fertility Yoga focuses on specific yoga postures that encourage blood flow and energy to the reproductive area. The relaxation techniques are designed to de-stress the mind and body. Fertility Yoga gives the inner strength and confidence needed to continue on your challenging journey to becoming a parent. Studies have suggested that the amount of sleep a woman has may affect fertility, (Morris 2008) and have shown that improving your sleep helps to promote regulation of appetite, weight, ovulation and male sperm count too. In a study of IVF patients led by DR D Park in Korea, it was found that aiming for between seven to eight hours of regular sleep can increase the chance of pregnancy by 56%. Breathing and relaxations techniques practiced in Hatha yoga therapy can help promote sleep, especially the practice of yoga nidra (yoga sleep) which involves deep relaxation techniques. A regular yoga practice for men is also important because of the positive effects on stress reduction and well-being. Regular yoga practice can improve the quality of sperm if you have an issue with sperm count or motility (Sengupta,P et al.. 2013). For men practicing yoga asana they can activate the second chakra in the pelvic area, which can help release energy blockages relating to sensual or sexual issues. Perhaps the strongest evidence is that reducing stress through yoga can boost fertility, as although the links between infertility and stress are complex and not fully understood, cortisol (the so called stress hormone) can interfere with normal reproductive functions (Sengupta). The DVD “Fertility Yoga with Lisa Attfield” was researched and developed whilst I was training to be a hatha yoga teacher with the British Wheel of Yoga, the governing body for yoga training in the UK. I was also on my own fertility journey. Both my husband and I had been advised by the NHS to change our lifestyles to improve our fertility chances. After six years of not conceiving naturally, fertility investigations revealed that both my husband and I had fertility issues, and our only option was IVF with ISCI to conceive. I was 34 at the time I started IVF, and after three cycles we had a daughter when I was 36 years old. After two further cycles of IVF and ISCI we had twins, when I was 39 years old. During our ten-year fertility journey, I developed and researched my Fertility Yoga programme, and in 2013 I released “Fertility Yoga with Lisa Attfield”. Over the years Fertility Yoga has helped others to learn to relax and de-stress, and to gain the inner strength and confidence to trust their bodies on their own journey to becoming a parent. Hi, my name is Lisa Attfield and I am a mum of three young children. I've used Yoga for more than 15 years to achieve relaxation, inner peace and help myself on the road to fertility and motherhood. For more information please do get in touch.